I have served on the Board of Directors of Africare since 2007. Helping improve the health of those in Africa is something that is near to my heart, and Africare is one of the most impactful organizations making a real difference on that continent. A specialist in Africa, the oldest and largest African-American led charity in its field. In 36 African nations since 1970, Africare has delivered more than $800 million in assistance ― over 2,500 projects ― to address Health and HIV/AIDS, Food Security and Agriculture and Water Resource Development. Africare reaches families and communities in over 25 countries in every major region of Sub-Saharan Africa, from Senegal to South Africa and from Chad to Mozambique. The mission of the Center for Interfaith Action on Global Poverty (CIFA) is to improve the capacity and effectiveness of the faith community in its collective effort to reduce global poverty and disease. CIFA does this through increased interfaith coordination, best practices and model sharing, innovative mobilization of resources, and influential advocacy to governments and the general public. 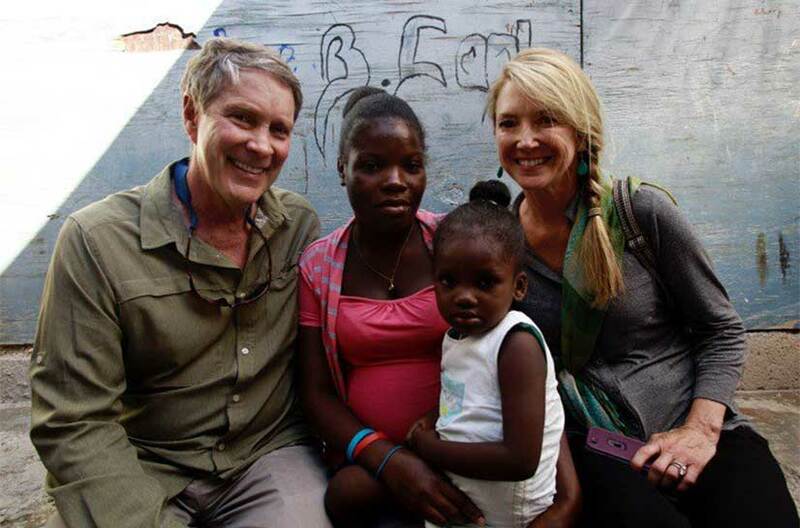 The Clinton Bush Haiti Fund seeks to respond to unmet needs in Haiti, foster economic opportunity, improve the quality of life over the long term for those affected, and assist the people of Haiti as they rebuild their lives and “build back better. They are doing this by working with and supporting the efforts of reputable 501(c)(3) nongovernmental and nonprofit organizations. It was established by President Barack Obama in February of 2010 to develop a major fundraising effort to rebuild Haiti. As of April 2010, over 200,000 donors have donated close to $40 million. While the fund has met many short term and immediate needs in response to the devastating earthquake, the focus for the fund in the coming months will be on long-term reconstruction and development. The mission is not just to rebuild Haiti, but to being it back better and more able to battle these issues in the future. Work such as job development programs to help those who have been out of work and vocational skill training that can lead to longer term jobs will be a big part of this work. Frist Involvement: President Bush and President Clinton asked me to serve as a member of the Board of Directors, and in this capacity, I will help identify how to best distribute the money donated to the fund that will have the most long-term impact on rebuilding Haiti. The Duke Global Health Institute (DGHI) works to reduce health disparities in our local community and worldwide. Recognizing that many global health problems stem from economic, social, environmental, political and health care inequalities, DGHI brings together interdisciplinary teams to solve complex health problems and to train the next generation of global health scholars. Frist Involvement: “Duke announced in December of 2009, that I would join the Board of Advisors for the Health Institute for 2010-2013. In 2008, I traveled with Dr. Michael Merson, who is the Director of the Institute, to Russia to look first hand at their public health delivery and see how they taught the issue of public health. I was impressed with the work Duke has been doing in this area, and I am honored to serve with such a strong group of people interested in the delivery of care across the globe. I am proud to serve on the Board of Trustees for the Kaiser Family Foundation. A leader in health policy analysis, health journalism and communication, the Kaiser Family Foundation is dedicated to filling the need for trusted, independent information on the major health issues facing our nation and its people. Kaiser is a non-profit, private operating foundation focusing on the major health care issues facing the U.S., as well as the U.S. role in global health policy. Unlike grant-making foundations, Kaiser develops and runs its own research and communications programs, sometimes in partnership with other non-profit research organizations or major media companies. KFF serves as a non-partisan source of facts, information, and analysis for policymakers, the media, the health care community, and the public. Our product is information, always provided free of charge — from the most sophisticated policy research, to basic facts and numbers, to information young people can use to improve their health or elderly people can use to understand their Medicare benefits. Living Water International works in more than 22 countries to bring daily access to safe, clean water to over 5 million people. LWI confronts the global water crisis, as well as hygiene and sanitation development, through a community based approach of training, consulting and equipping. The National Institute for Health Care Management Research and Educational Foundation (NIHCM Foundation) is a nonprofit, nonpartisan group that conducts research on health care issues.